So, I bought this little DJ-5B for a Jeep project in 2012. Originally, I was going to turn it into a 4×4. Although I have only seen a few guys actually convert these little DJs over to four wheel drive, most of the time very little is left of them for wheeling (maybe the grille, and the fact that they are right hand drive). 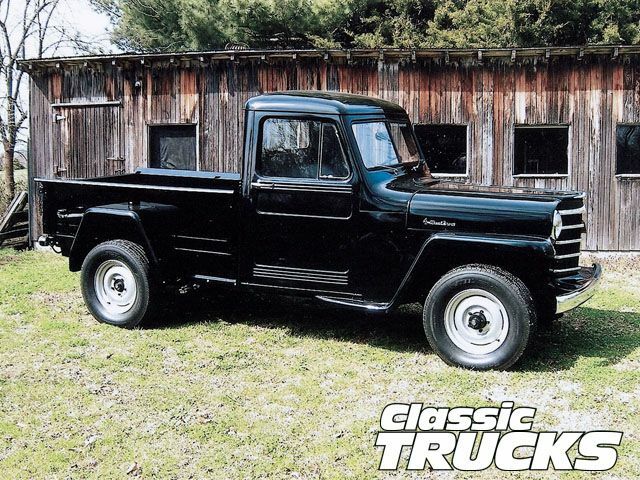 [To the credit of the guys at Petersen’s 4Wheel & Off Road, they built a very capable 4×4 DJ-5, but it was more of a work horse than an off road machine.] And then there was the fact that there are three other DJs in Arizona that have been converted over to 4WD. After I thought about the technicalities of a (cheap) four wheel drive, manual steering setup for this right hand drive Jeep, I figured that maybe I was about to start another project doomed for the chop shop. [After all, after owning it for two years, the only thing I had done to it thus far, was have it moved from Glendale to Queen Creek, from Queen Creek to San Tan Valley, and from my old house to my new house (next door). Although, I suppose if you look at the distances, and take that into account, you can see that I actually did make progress with each move, but I only brought it closer. Now it was time to really work on it.] And then I decided to go the way of the flat rod, except I know it can be done with much more… well, much more my style. I caught wind of this thing called a Flat Rod, and I had to look more into it. I had seen a couple of them done and loved the idea. 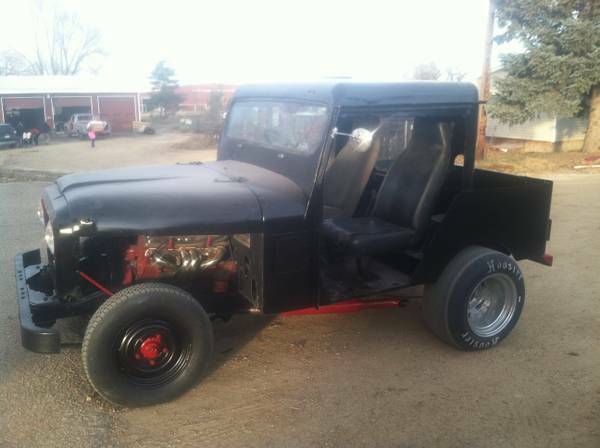 A flat fender Jeep, a hot rod… a flat rod. 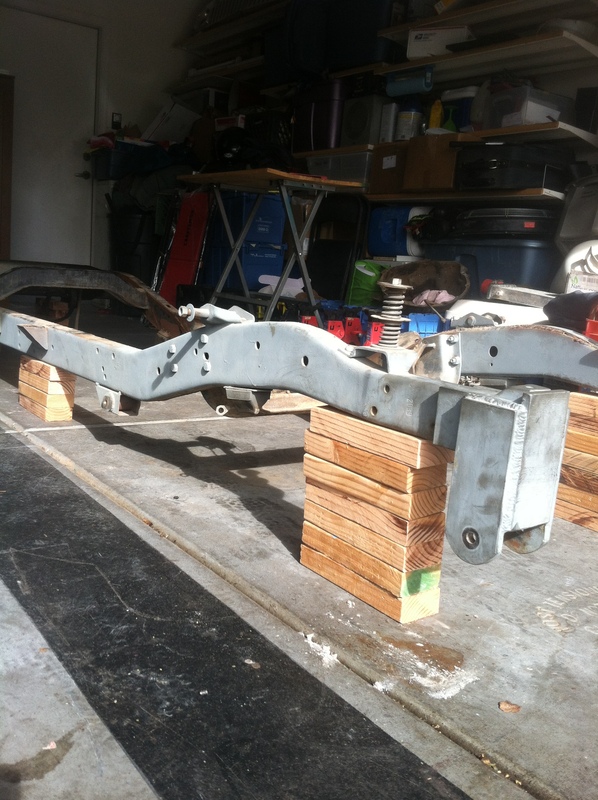 It is a Jeep… a hot rod… a custom build… What else could I do with this? My mind started racing, and the idea floodgates were opened wide. I started looking on the web for ideas from pictures of built flat rods, so I could see how others had done it before me. As I have seen a few of these done, I have only found two done that were built with any style. These are some pictures of the two Jeeps that helped give me the idea. 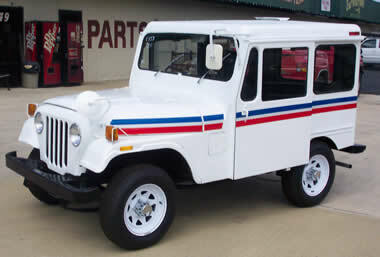 The little Jeep started life as a DJ-5B, a postal Jeep. Of course, life was simpler back then, going house to house, on its little postal route. 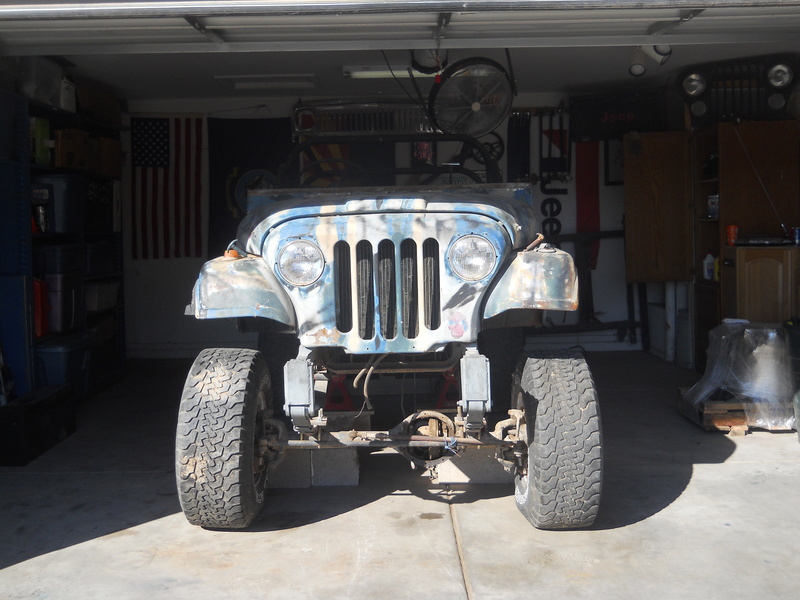 Then, funny as life is, it ends up in my garage, destined to become something… well, all I can say is it won’t be the same little postal Jeep it once was. This is an idea of what I will be going for; except, I believe that it can be executed much better. I want to combine this idea here, of the postal hot rod, with the idea of the flat rod, and build something a little different. 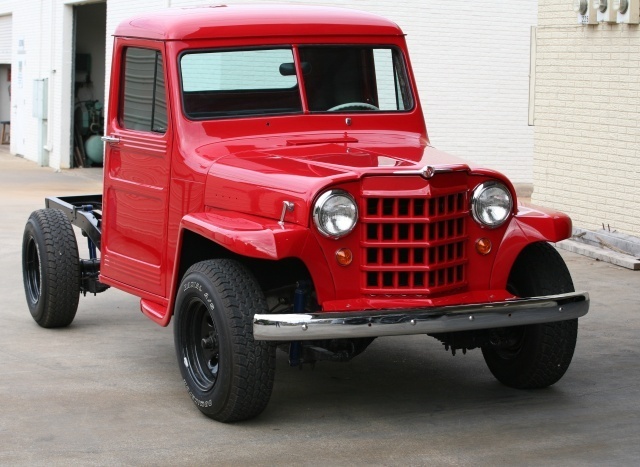 I want to use a Willys pick up cab roof, grille and (possibly) hood, instead of the DJ-5 metal. The cowl is the same shape and size, so they should carry over quite easily. 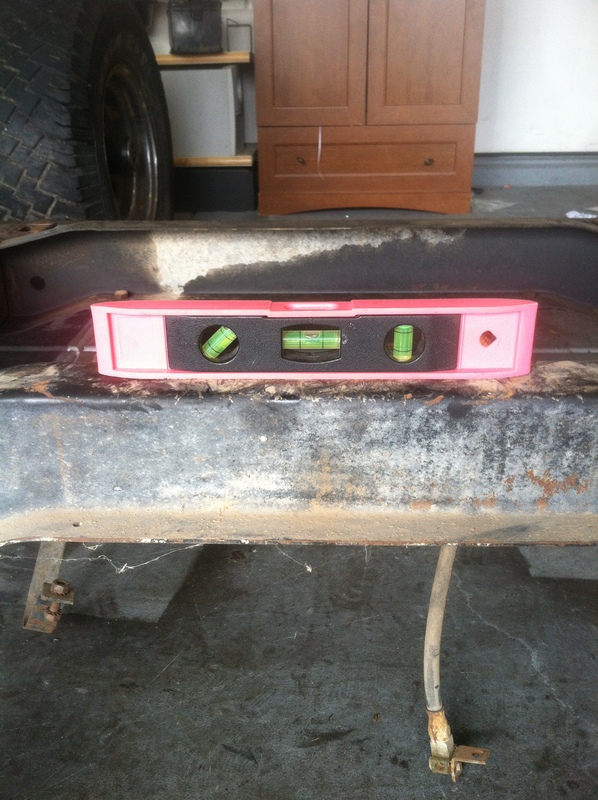 I will be chopping the roof of the cab, before grafting it onto the DJ. As far as the hood goes, if it needs to be cut in order to fit the engine, it will just be skipped, but I have ideas for either with or without it. Speaking of the engine, I have located a line on a group of 4BT diesel engines, here in Phoenix, and the idea is to make this into a diesel rod. 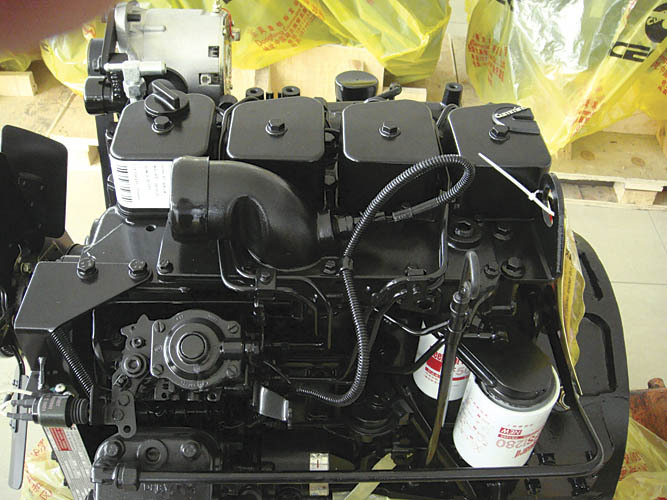 The 4BT is practically cast from the same block as what was found in the first generation Dodge/Cummins, 6BT diesel trucks (1989-1998), less two cylinders. The diesel rat idea came from this beast. Might I suggest you watch the whole two minutes, the ending is pretty good! 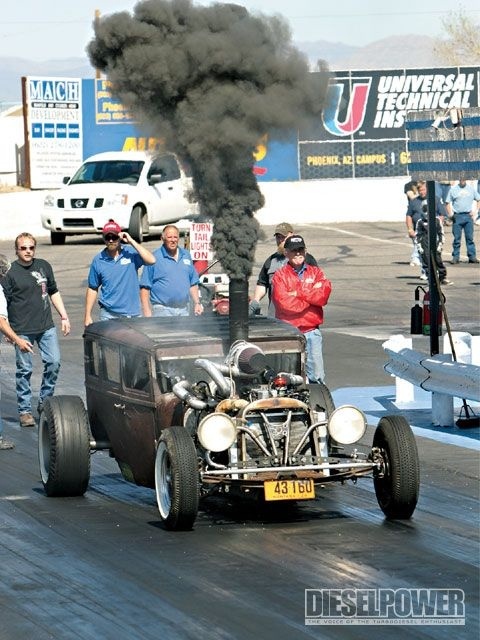 In case you were wondering, that is a 1928 Dodge Brothers Sedan with a 6BT, Cummins twin-turbo diesel. It puts out 1270 lbs-ft of torque, 693 rwhp, and weighs in at 3800 lbs. He runs 11.69 at 118 mph in the quarter mile, and it also consistently gets 23-25 mpg. Now, I know, I am notorious for talking about projects and not following through. I am turning over a new leaf here, and have decided that if I can’t get something, anything, done to the project while I am home on my off time, then it is time to reassess the situation, and maybe I should not have a project right now. My last time in, my son Jaiden helped me and my buddy, Tony, take off the tub and strip it all down to frame. Jaiden got to remove the dashboard and the pedals, all by himself. This is what we got done that day. My goal this time in, was to clean the frame and prepare it for the drop channel to be welded. 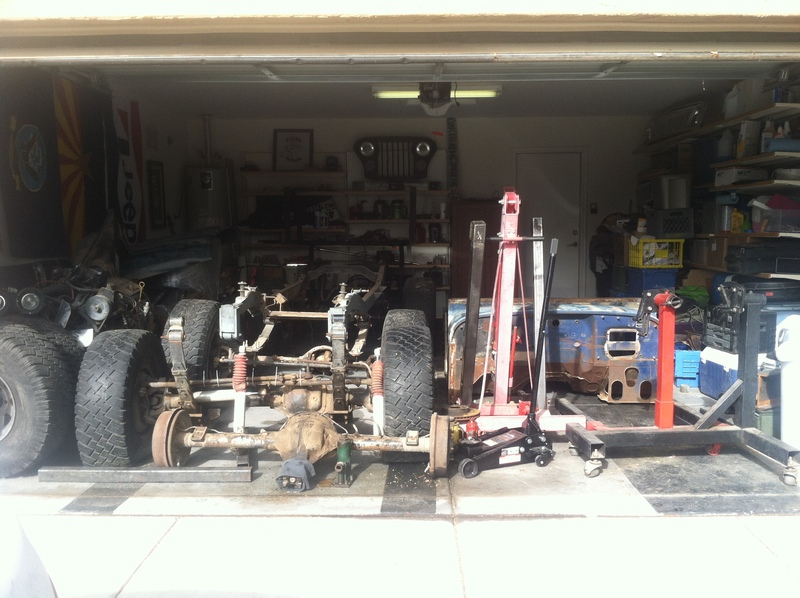 Tony came back over, and we re-rearranged the garage (again) and stripped the frame, then set it at ride height… 6″ above ground. *EDIT: After I talked it over with multiple people, I found that my ride height will be more along the lines of 1-2″ above ground. It will still park frame. Now that we have established ride height, it is necessary to fabricate a front end suspension for the chassis and to C-notch the rear end for axle clearance. I will be using the AMC 20 axle that came from my ’84 Wagoneer as a rear axle, and will be driving 33″ tires, front and rear. Ultimately, I would like this to park and lay frame, but I find me going Jiminy Cricket on myself, and I have been trying to keep the scope creep to a minimum. This means that I have an original idea, and I need to stick to it. I need to keep from adding to it, and complicating it more than I already have. So, I may find that ride height, and park height are the same. We will see how that all pans out. I had to check the frame true. Looks like the bubble is happy! 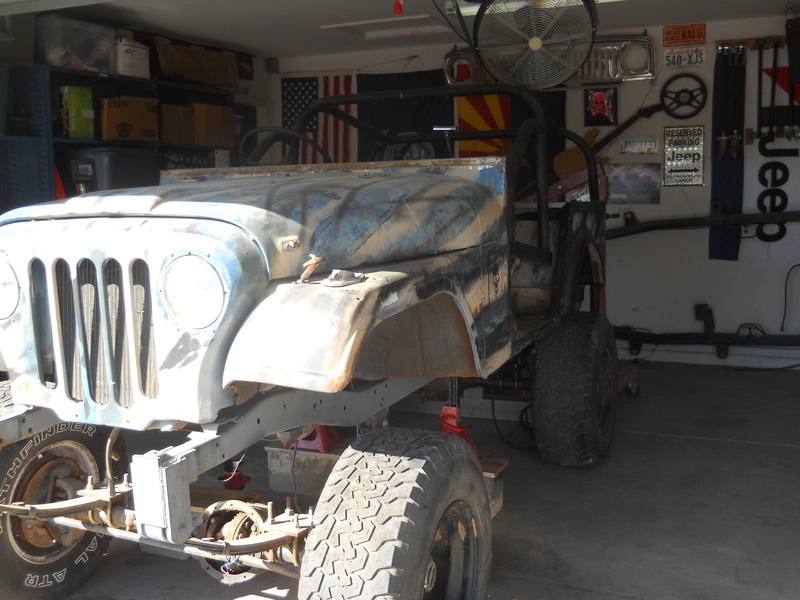 I have a Willys Pickup project in Phoenix also looking for a 4bt. Care to share your source? Fantastic Gearhead Innovations…Amazing cerebral creations. Thanks so much for sharing.